Recent close up images of Saturn’s moon Iapetus underscore its catastrophic past. In a previous Thunderbolts Picture of the Day, the strange equatorial bulge around Saturn’s moon, Iapetus was discussed. The similarity between it and several types of “concretion” found here on Earth suggest that they all may have been formed in electrical events that act on several scales. As Cassini continues to gather data, more evidence that electric discharge machining may have excavated Iapetus has been seen. By way of background, Iapetus is only 1436 kilometers in diameter, with a surface temperature close to absolute zero. The Voyager II mission originally photographed it as the spacecraft passed by on August 22, 1971. Although it is a small moon, Iapetus has several extremely large craters, one of which exhibits a distinct bulge in the center, with another crater at the top. 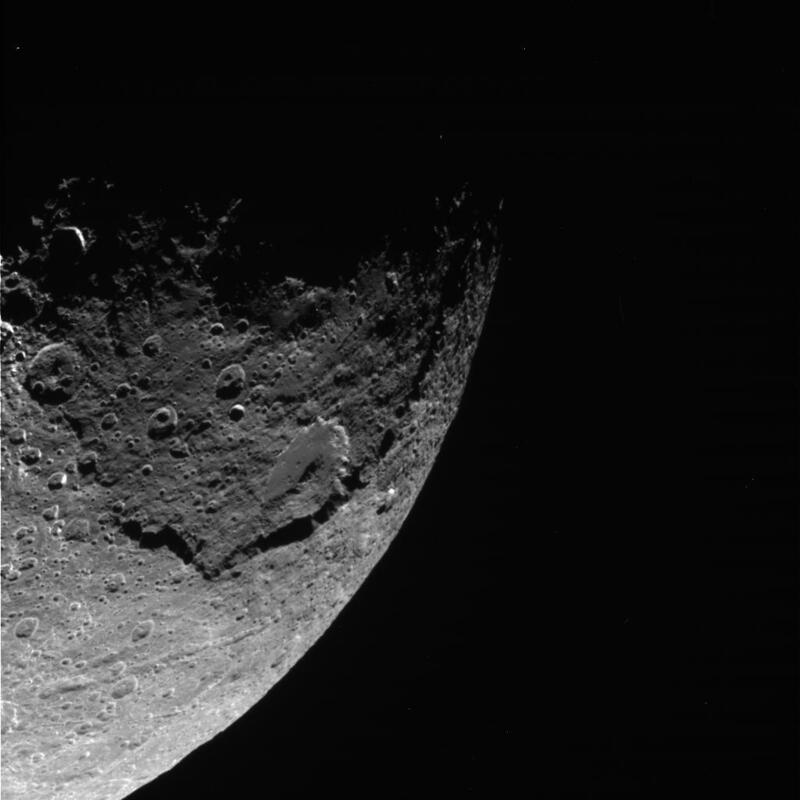 Iapetus resembles its sister moon, Dione in many ways, such as bright cliffs and abundant shallow craters with central peaks and no blast debris. Since the small crater is buried by debris left by the landslide, it stands to reason it is younger than the slide. One problem with estimating the ages of these formations is that they all appear to be fresh, with little or no distortion to the crater rims, despite the conventional explanation that they were caused by the impact of other high velocity bodies. Another anomalous feature is that the debris doesn’t look like it fell from the cliff face; it looks like it was moved, as if by a giant bulldozer, from below the lower right of the smaller crater up against the cliff wall that it shares with the large crater. It was stopped by the cliff, rather than being its source. Given that Iapetus has a surface gravity only a tiny fraction of the Earth, what mechanical force is powerful enough to scoop up many cubic kilometers of material and move it laterally up against a cliff face as if it were a giant wave breaking on the rocks? In instances of such features on other planetary bodies, like Mars, it was theorized that electric arcs cut the crater walls and transported large volumes of material through electrodynamic forces. Large currents, flowing through the rock strata, cause it to break loose and pulverize, moving along the surface in a process called, “fluidization.” Once the current stops, the material consolidates into a glassified mound, similar to an alluvial fan on Earth, except with a high, steep face. If the smaller crater was formed by impact there should be no landslide material, it should have been blasted away by an explosion above the surface, as the standard explanation for crater formation seems to demand. 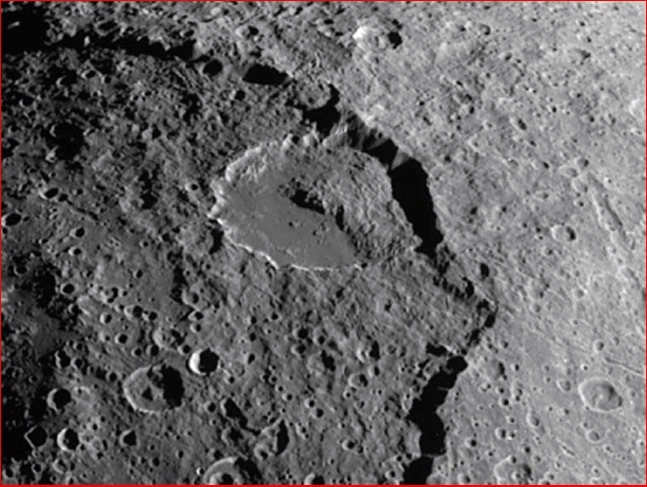 Neither would the rim of the crater form a truncated circle. An electric arc causes a subsurface blast (as demonstrated by tachylites found in the rim of South Africa’s Vredefort Dome, for example) and in the case of the Iapetus crater, the arc tried to cut into the tall pre-existing wall and undercut the cliff, causing it to collapse into the newly formed caldera. The smaller crater is misshapen because there was more material to cut into at the cliff face. 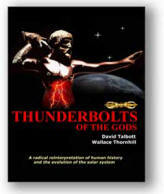 It seems evident that NASA will continue to ignore electricity as an active agent in the outer solar system. Although magnetospheres and ionized plasmas are acknowledged to exist and to even cause certain interactions, no astrophysicist will suggest that plasma could be responsible for the craters, rilles and steep escarpments that we see. Such attributes are found wherever we look and wherever we send our probes. In places of hard vacuum, exceptional cold or extreme heat, the same process seems to have been at work. What else besides electricity can produce all of the same phenomena in so many different environments?